Yes, the sign in the background gives it away. 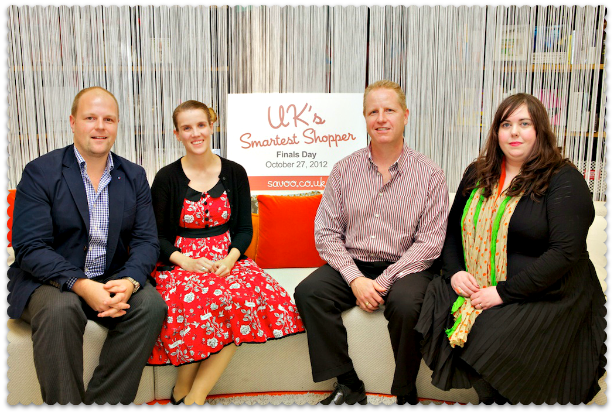 Here we are with our fellow judges: Simon Bird, the General Manager of Savoo and Marc Lockley, personal finance author and Guardian columnist. 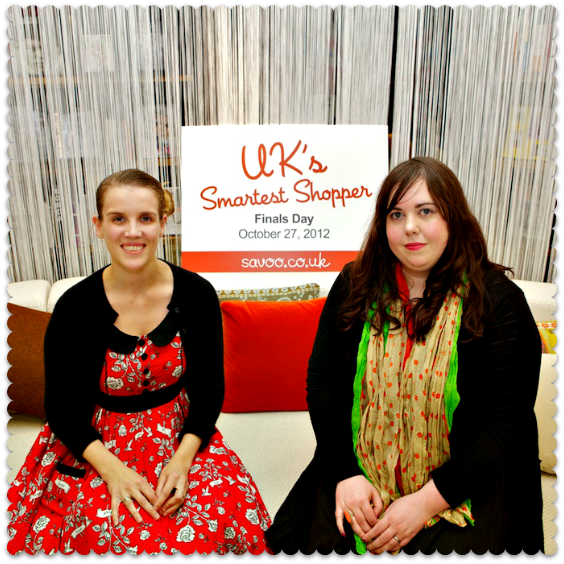 We had gathered to meet and interview the grand finalists in Savoo’s hunt for the UK’s Smartest Shopper. This was no easy task. Hundreds of entries had been whittled down by Savoo to 10 talented individuals – and as you can imagine, every single one of them had the money-saving X factor. Predictably, with four judges we did joke about the X Factor format. By the end of the day, however, it was no laughing matter. If I had been an X Factor judge, I would have been Cheryl Cole. Annoying Chezza, that is: the one who buries her head in her hands and wails: “Nooooooooo, I can’t decide! We’ll have to go to deadlock”. Sian lives in North Yorkshire, like me – although unlike me, she lives in a sensible part with transport links. A mature student, Sian is also a mum-of-two who puts a lot of time and effort into living well for less. Her DIY wedding, with a reception for 120 hungry guests, cost £3,000. Penny is a single mum who used to work in the City, before opting for a different way of life and heading off to spend more time with her daughter at home in Surrey. With a reduced household income, she has adopted a range of different money-saving methods. Frugal living – with flair! 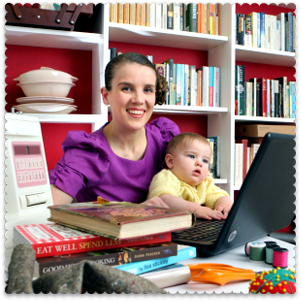 Claire from South London is already a successful blogger in her own right: A Boy With Asperger’s, which documents her life as a mum-of-three, one of whom has Asperger’s Syndrome, has been named Most Inspiring Blog at the MAD Blog Awards for the past two years in a row. Claire cares for her children, scoops up every deal going – and still has oodles of energy to spare. I’m a fan. Laura of Ray Mears Extreme Housewifery wowed us with her scrimping prowess. She spends less at the supermarket than I do! I’m not sure if that includes her art materials though: that giant mosaic in her blog header is made from toast. Laura wants to set up a blog called Consumer Revenge, dedicated to helping shoppers fill their baskets for pennies. 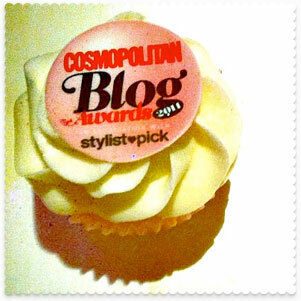 I think that whatever the outcome of this competition, that blog could and should come into being. Claire traveled up from Devon and, despite the lengthy journey, was effortlessly glamorous and groomed. You would never have guessed that she is a charity shop fiend. Claire has converted her friends to the joys of thrift, and recently raised enough from sales on eBay to buy a new iPad. Thanks to Savoo for inviting me to judge. The winner is going to be announced by Savoo any day now. In the meantime you can view all ten finalists, and read their entries here.